MD Shaun, completes Total Warrior 2015! 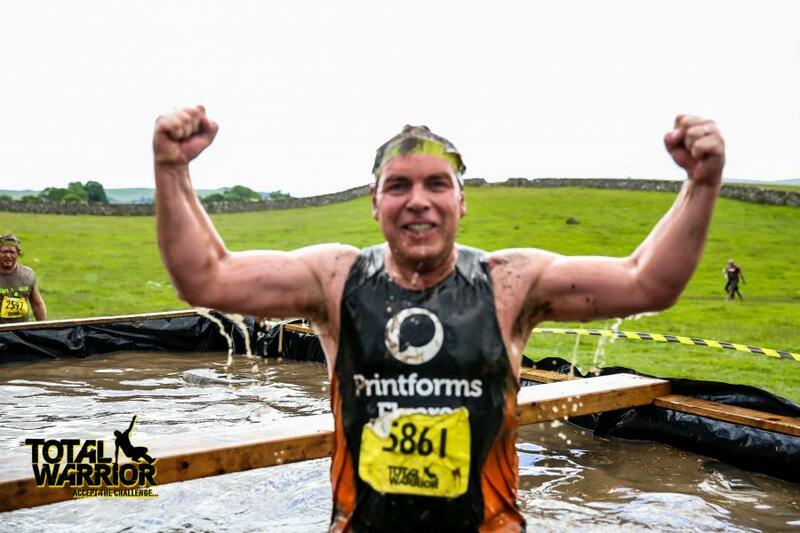 Shaun, Managing Director of Printforms Ltd, has now completed his second Total Warrior event making this the third obstacle course he has battled in as many years. The Printforms Flyers team's aim is to raise money and awareness for Cancer Research UK and Teenage Cancer Trust, charities which have offered support to the family over the past few years. Back in 2013, Shaun took part in the Mad Monk Obstacle Race along with his daughter Natalie. This was the first obstacle race in which they had both participated. As it was such an enjoyable and successful event they decided to make a family team, The Printforms Flyers, who last year took part in the Total Warrior event in Leeds, at Bramham Park. It was a fun and enjoyable day for all, and a great way to raise money for the team’s two fabulous chosen charities, Cancer Research & Teenage Cancer Trust. After raising almost £2000 last year, the family decided that this year they would take on the terrain of Total Warrior in the Lake District. The family team trained very hard to complete the difficult challenge that took place on 1st of August this year. The story that spurs both Shaun and his family on is the particularly difficult time they went through last year with Shaun’s wife, Ann, who was diagnosed with lung cancer. Ann had her left lung successfully removed and has just passed her most recent consultation. Whilst the situation needs regular monitoring, they are obviously pleased with the progress. Having had cancer hit his family twice, firstly with Shaun’s daughter Natalie as a teenager (over 7 years ago now), they show immense gratitude to the invaluable work of both Cancer Research and Teenage Cancer Trust which is why as a family, their physical exertions and fund raising effects will always be dedicated to both these charities. Their efforts and determination have helped them raise as much money and awareness as possible to aid the fantastic work Cancer Research & Teenage Cancer Trust carry out on a daily basis. 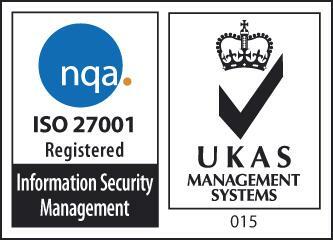 We're ISO27001 certified for Information Systems Management Security (ISMS) giving both new and existing clients peace of mind that we will handle all data securely.